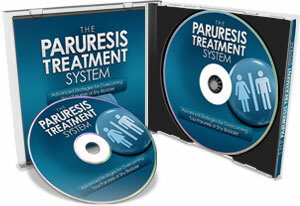 Order the Print and CD Edition of The Paruresis Treatment System! 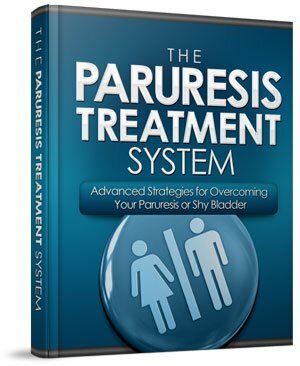 The Paruresis Treatment System is also now available in print and compact disc format that can be shipped discreetly to your home or preferred address. This version of the program is the EXACT same program that’s been used successfully by individuals all around the world, making it one of the most widely used treatment systems for overcoming paruresis and shy bladder available anywhere. The Paruresis Treatment System manual is a complete guide to overcoming your paruresis or shy bladder. 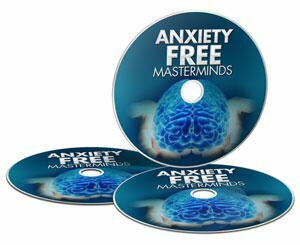 It walks you step-by-step through exactly what I think you need to be doing in order to replace your current negative and irrational thoughts that make it virtually impossible to eliminate properly with thoughts of peace and confidence. I’ll show you how to throw a monkey wrench into the gears of your anxiety cycle, and how I believe you can flip the switch and shut down your fear virtually instantly to get back to feeling yourself again. You’ll also receive the entire unabridged program manual in mp3 audio format, so you can begin conquering your paruresis by listening in your car, at work, on your iPod, or wherever is most convenient for you and your lifestyle. This exclusive audio series will help you practice with the skills you’ll be developing throughout the Paruresis Treatment System so you can more easily and quickly put them to use in their life. In just minutes a day, you can be taught how to rapidly relax, quiet your anxious, negative and worried mind, and let go of physical tension that gets in the way of urinating easily. The Paruresis Audio Treatment System (P.A.T.S) contains a specially engineered audio session designed to work in conjunction with the Paruresis Treatment System. 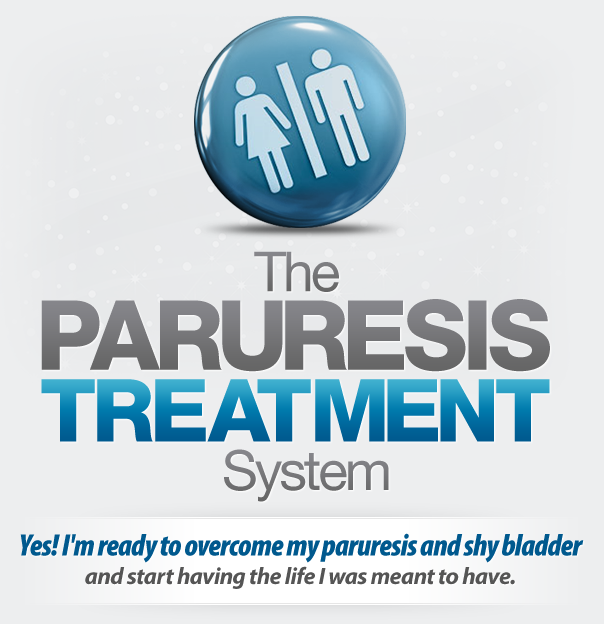 This breakthrough system that can help you you learn, practice, and develop your new skills is ONLY available as part of the complete Paruresis Treatment System. To ensure that you have absolutely EVERYTHING you need to overcome your paruresis, I tracked down who I consider the most recognized and respected experts working in the field of psychology and convinced them to do a series of interviews with me to discuss their advice for treating anxiety, panic attacks, and phobias. In this series of interviews totaling OVER TWO HOURS, you’ll receive priceless advice on overcoming your anxiety quickly, how to interrupt your fear cycle and get you back to your day in peace, and what the implications are for anxiety sufferers of cutting edge research being done utilizing functional brain imaging. With contributions from practicing psychologists, internationally recognized anxiety treatment experts, and best selling authors, I’m confident there is no better or more comprehensive education on conquering anxiety and fear available anywhere. These one of a kind interviews will offer you additional ideas, thoughts, and perspectives on conquering your paruresis that you won’t find anywhere else! They were conducted by ME personally for use with the Paruresis Treatment System. 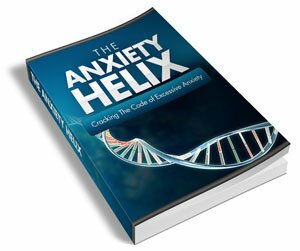 The Anxiety Helix Report cuts through the clutter and opens your eyes to the TRUTH about anxiety and fear, so you can turn the tables on your condition and begin taking your life back. In this easy to read, simple to understand report, I’ll explain to you precisely how your anxiety works, why you’ve had trouble conquering it, and what I believe you need to do to break free of it – once and for all. With Volume II of the P.A.T.S. Audio System you’ll DOUBLE the amount of tools at your disposal to help you quickly overcome your paruresis! Like the original P.A.T.S. Audio, Volume II of the system will guide you through practicing your new skills of inducing relaxation and tranquility in yourself that you’ll be learning during your time with the Paruresis Treatment System. The Paruresis Treatment System Manual and Anxiety Helix Report will be delivered in printed format, and all other material will be on a series of compact discs that you can use in any CD player, your car, at home, or even put on your iPod! And you still get our 100% money back, no questions asked guarantee. If you’re not absolutely thrilled with your results after using the program, then I don’t want you to pay for it. If at any time in the first 60 days you decide the program isn’t right for you, for any reason at all, simply send it back to where it came from and you’ll receive a prompt, no questions asked, no hassles refund. Click below now to order the Print and CD Edition of The Paruresis Treatment System and get it delivered quickly and discreetly right to your door! 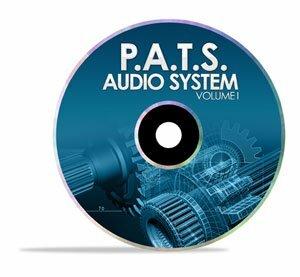 Print and CD Edition of The Complete System – I understand that I’ll be receiving the Print and CD Edition of the COMPLETE program, which includes everything outlined above…the Paruresis Treatment System Manual, the full Audio Version, both volumes of the P.A.T.S. 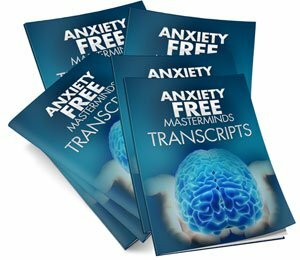 Sessions, the Anxiety-Free Masterminds Audio Series and transcripts, and the Anxiety Helix Report. Drug-Free and Natural – The Paruresis Treatment System was designed to help you learn to relax and when using the bathroom so your body can work how it’s supposed to by showing you how to train your mind to alter negative thought patterns and habitual reactions that can cause your anxiety and shy bladder, and NOT with alcohol or medications that can cause dangerous and bothersome side effects, leaving you feeling sedated and MORE out of control, or merely masking your symptoms without addressing the REAL problem. Break the Cycle of Anxiety and Panic – The goal of the program is NOT to simply help you “cope” with your fear. Why learn to live WITH your bashful bladder when you can learn to live WITHOUT IT? I don’t think you should be satisfied until you’ve learned to END the destructive cycle that create the problem! All of this is shipped quickly and discreetly to the address of your choosing, is completely guaranteed, and is only a single secure payment of $119! Get Your FREE Paruresis Treatment Report Now! A 4-part report that reveals the TRUTH about overcoming your paruresis or shy bladder.